InfiniTec - Henning Krauses Blog | How to grant access to all mailboxes on a mailbox store to a special account. 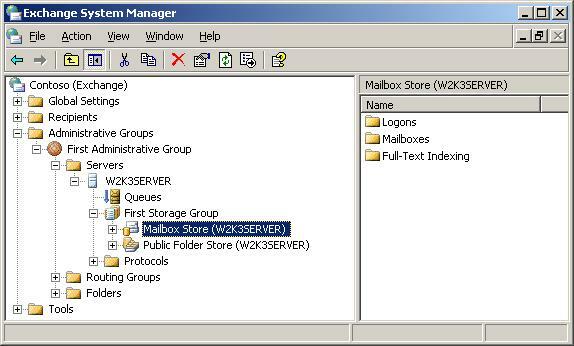 How to grant access to all mailboxes on a mailbox store to a special account. Next, select "Properties" on the context menu of the mailbox store and select the "Security tab". If you want to grant the access to all mailboxes to a non-administrative account, you can simply add that account to the list and grant the "Send As" and "Receive As" permission. You can see, that the Domain Administrators have both, an allow as well as a deny permission. This is propagated down to the mailbox store, and prevents administrative accounts from accessing other users mailboxes. Now, you can remove these deny permission, but this is not advisable - they are there for a reason. You would end up with far too many people having these rights. A better approach is to give only one specific account these rights. 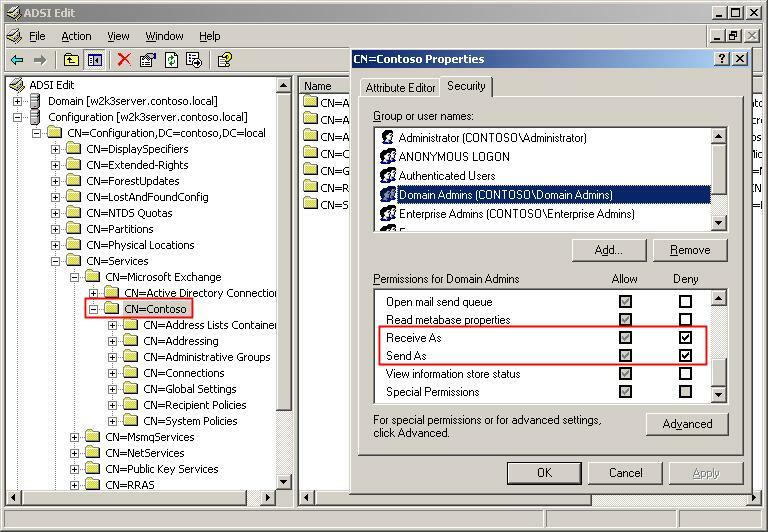 If this account is also in the Domain Administrators group and already displayed in the security tab, click "Advanced" and then "Add". Select the account the grant the "Receive As" and "Send as" permissions. The account will be granted the permissions, because an explicit allow on a lower level overrides an inherited deny. 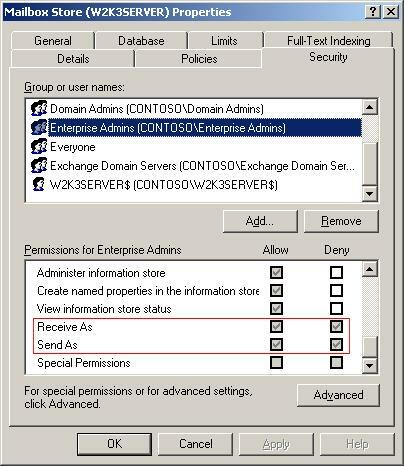 Take a look at http://www.exchange2003permissions.com where you can find a tool called security explorer for exchange that provides much more friendly interface and powerful abilities for managing with exchange security permissions.